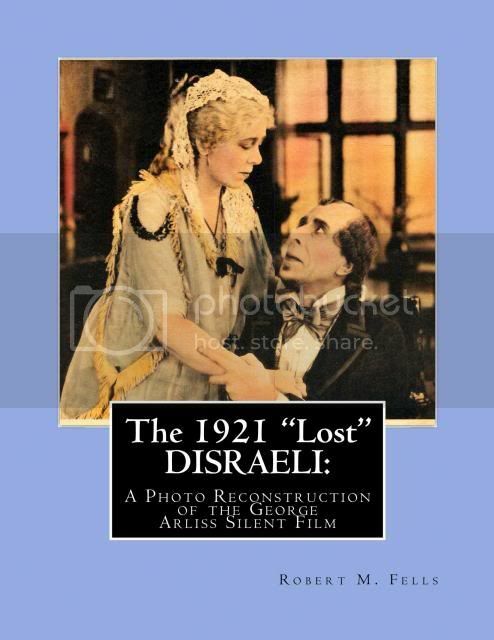 This time we reconstruct the once-acclaimed but now lost silent screen version of DISRAELI of 1921. 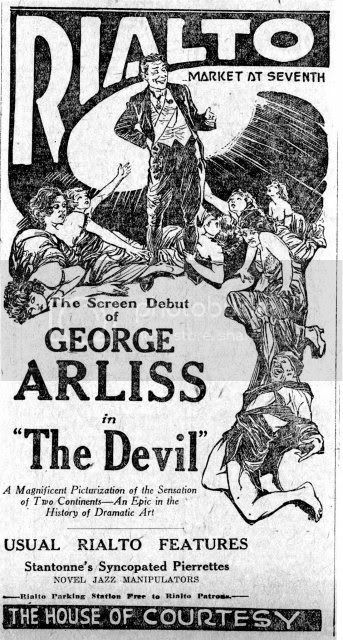 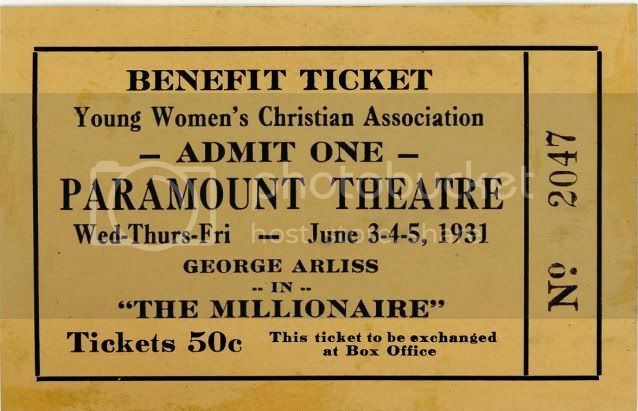 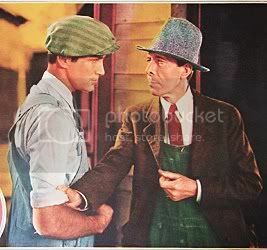 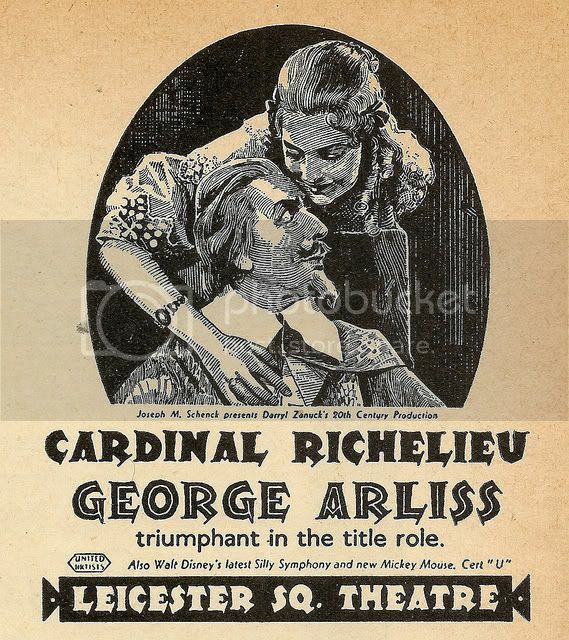 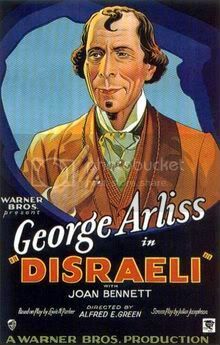 We spent over two decades collecting photographs and other images to document this first film version of George Arliss’s most successful play. 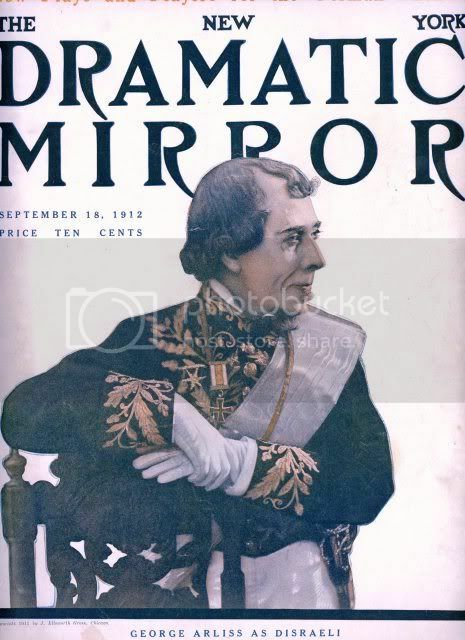 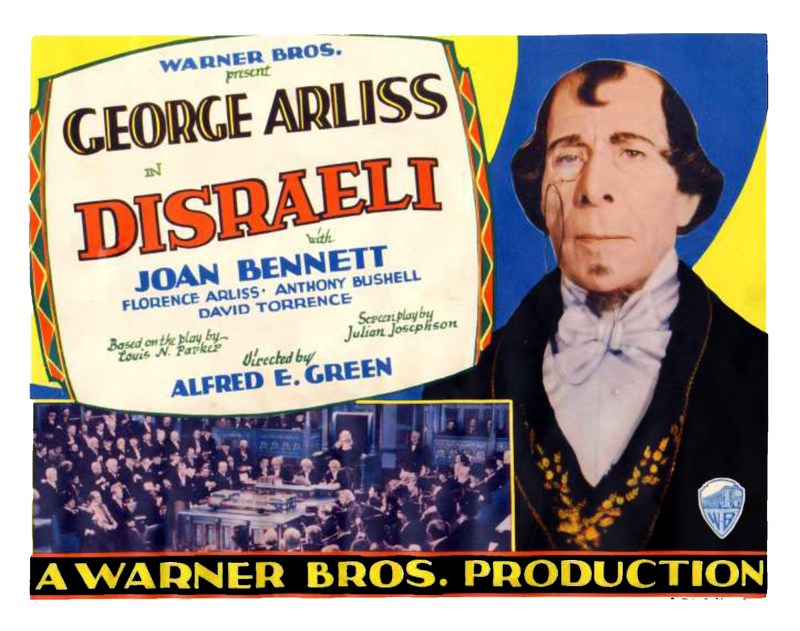 Additional materials include the complete souvenir theater program of 1912, a set of eight original lobby cards from the 1929 sound version of DISRAELI in restored color, and a discussion of Mr. A’s 1938 live radio broadcast of the play with links to enable readers to hear this radio program exactly as it was broadcast live over CBS on January 17, 1938. 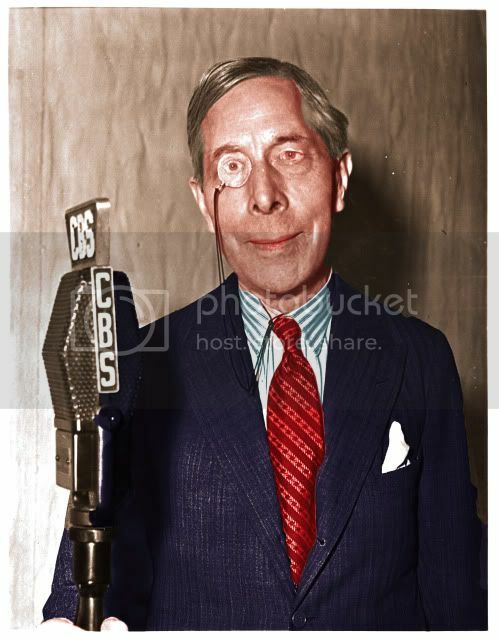 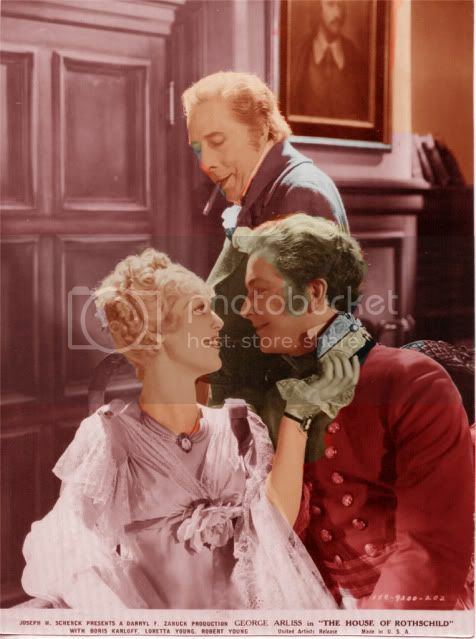 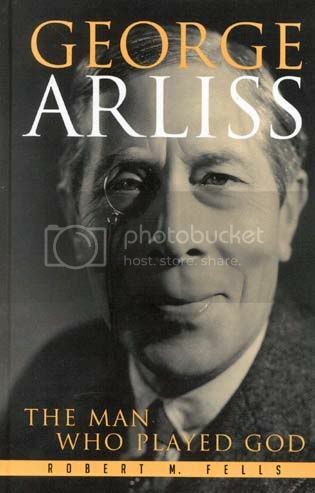 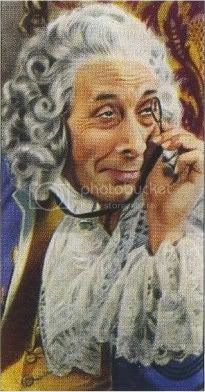 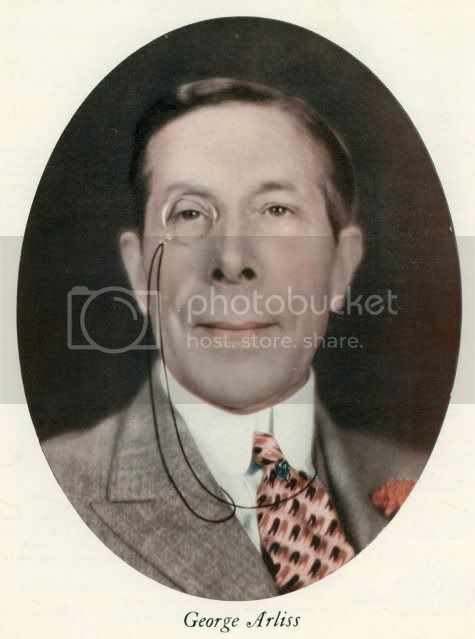 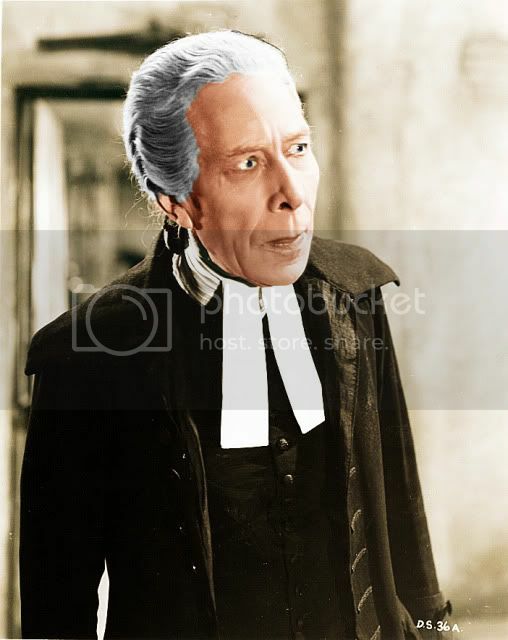 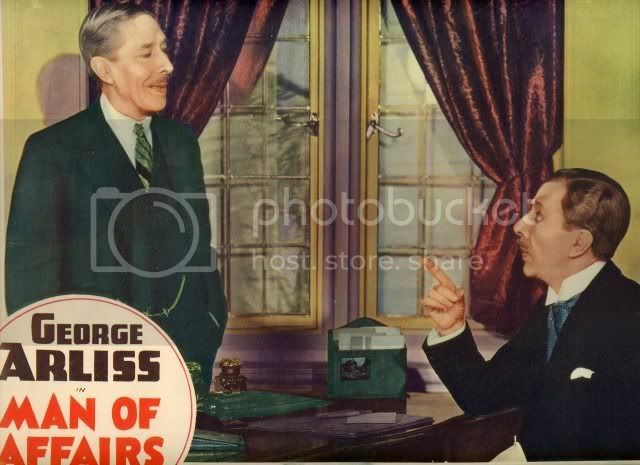 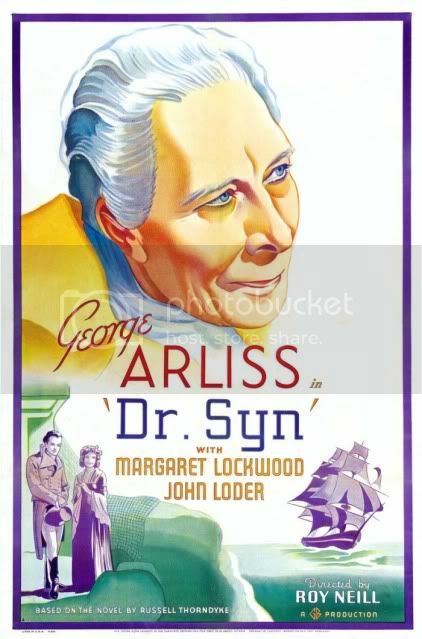 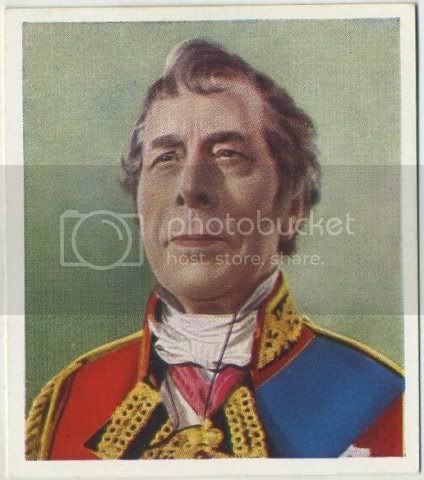 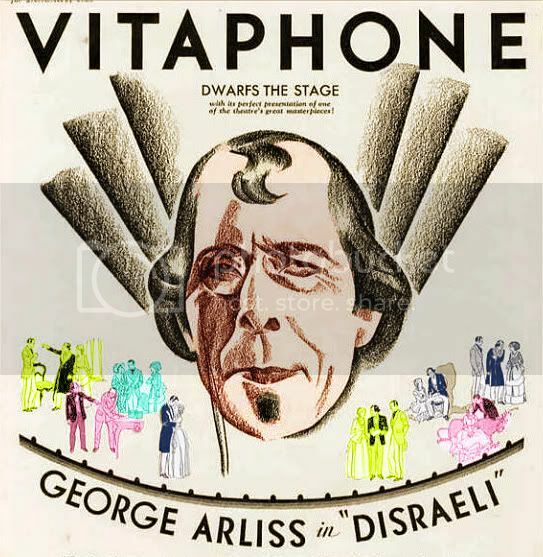 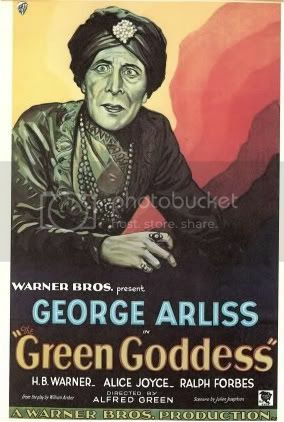 There is also a “bonus” appendix of George Arliss in 3-D photographs from a variety of his films. 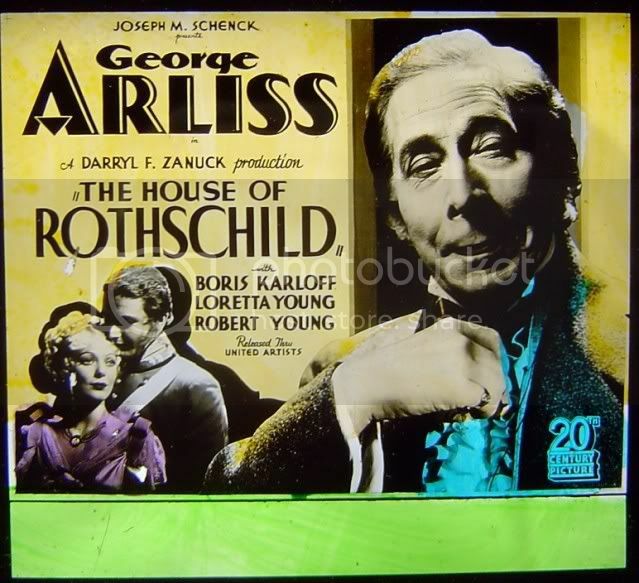 Among film buffs there is probably no other type of movie that captures the imagination as much as a “lost” film. 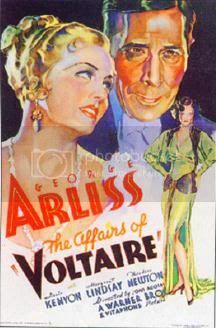 That is, a film where no copies are known to exist. 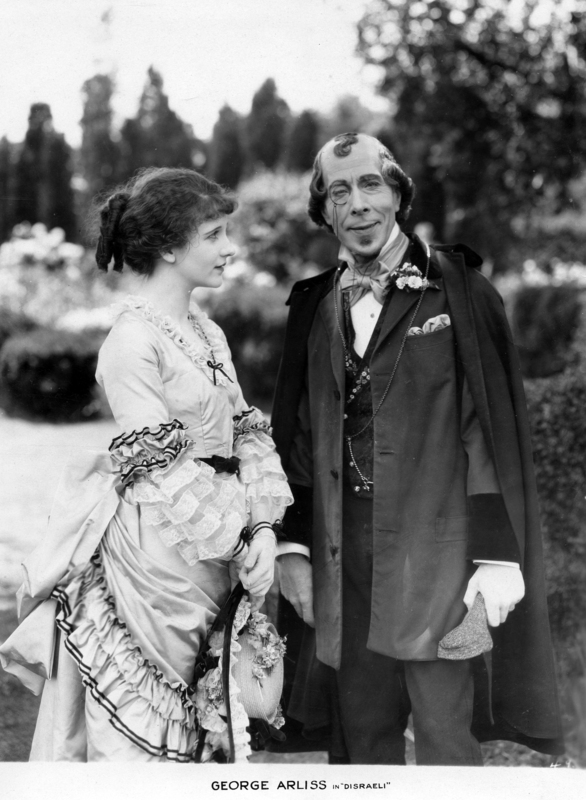 Perhaps the most famous lost American silent film is the Lon Chaney Sr. opus, LONDON AFTER MIDNIGHT (1927). 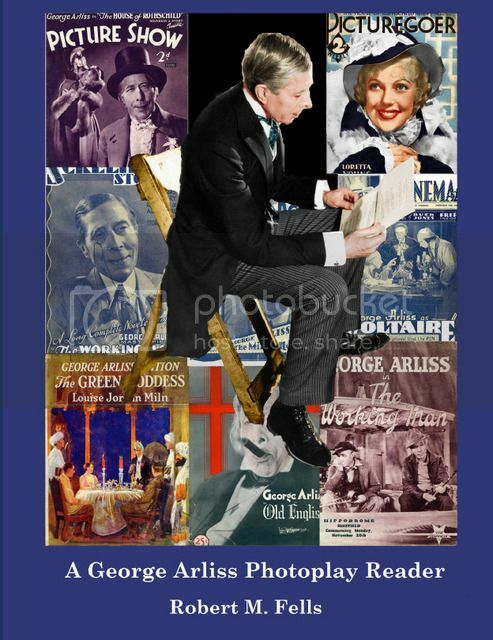 But fans of the silent screen – and thanks to DVDs and streaming video their numbers are increasing daily – can tell you of many other elusive treasures. 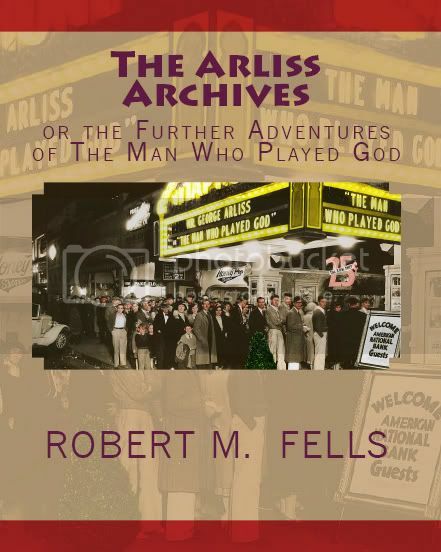 There’s a special cachet that grips the imagination and is stoked by surviving photos of scenes from a lost film. 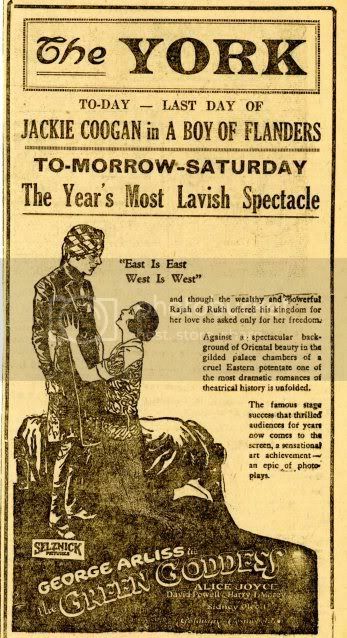 Reading the original film reviews only makes the sense of the unobtainable that much keener. 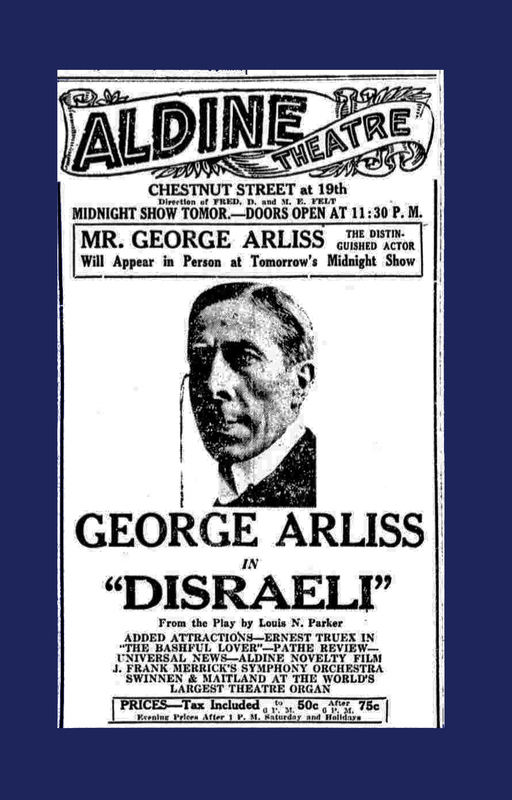 Imagine welcoming in the New Year – in this case 1922 – with Mr. A in person! 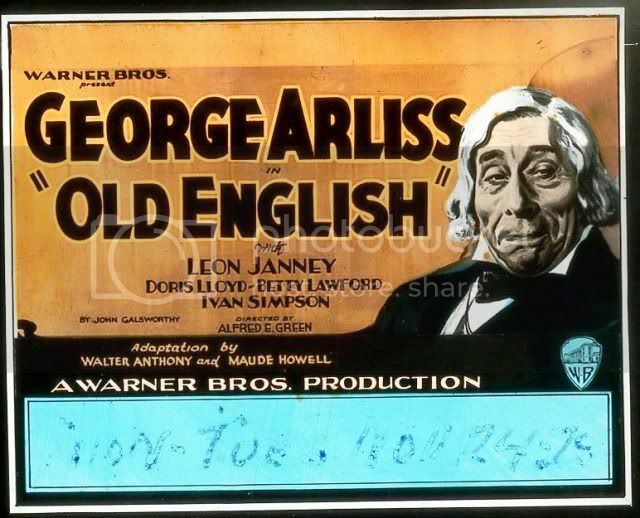 The title card (1 of 8) in the set of lobby cards from the 1929 talkie version. I must confess that after completing this photo reconstruction, I had a strong impression that I had actually watched the 1921 film itself. 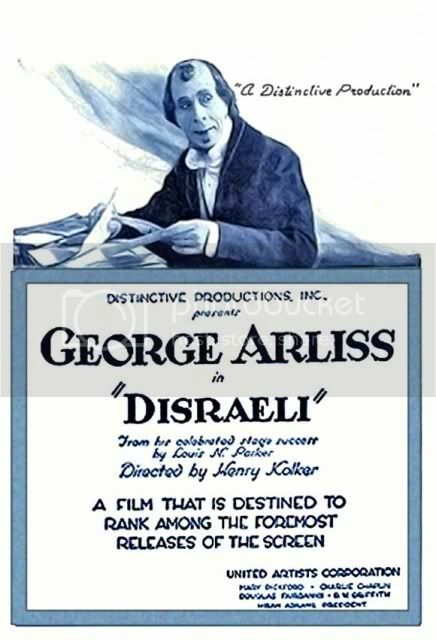 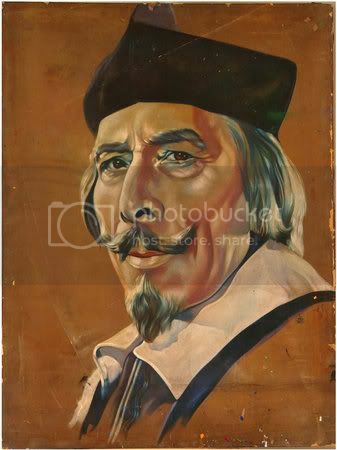 Perhaps this is a presentiment that a print of this DISRAELI will in fact be found. 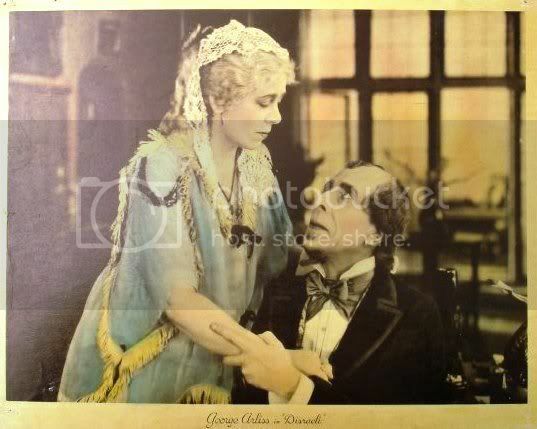 Some fragments are held at the Eastman House of Photography in Rochester, NY, and apparently a film archive in Moscow, Russia, holds some material as well. 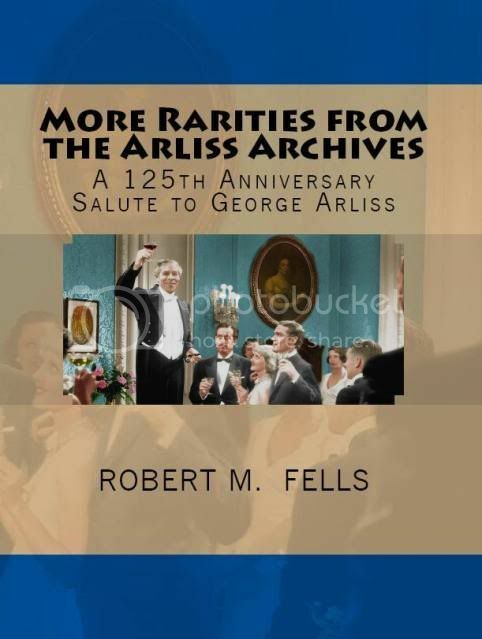 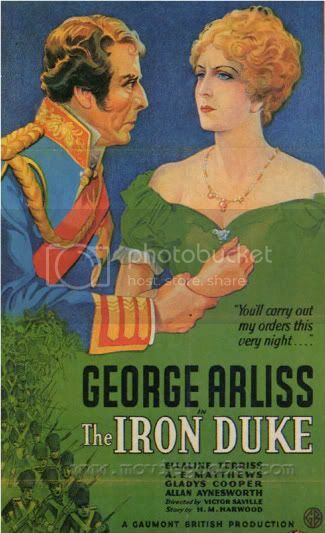 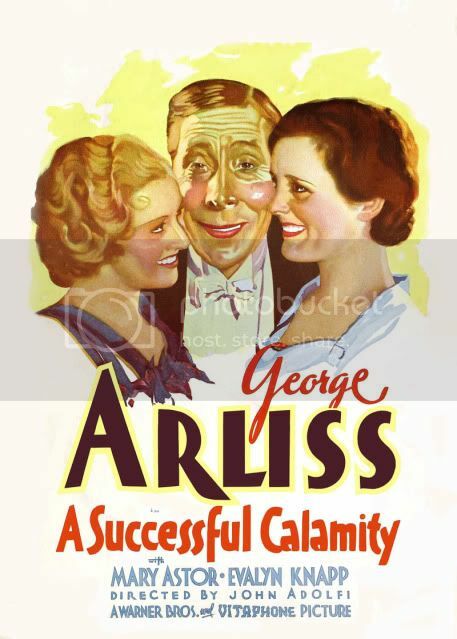 Until we get very lucky (if ever), this fourth volume in our George Arliss series will be the only record of this classic film.